This recipe features a base of plantains and an unexpected ingredient to create a moist, comforting quick bread without eggs. I’ve received countless requests for egg-free baked goods in the last few months, and I can’t remember the last time I posted a recipe and didn’t get the comment, “Can I use an egg substitute here?” My inside joke is that I could post a recipe for scrambled eggs and still receive that comment. Egg-free and grain-free baking is a tricky game, which is why I don’t recommend using egg substitutes in my recipes designed for eggs. The result is often disastrously dense and gooey. I know the challenge of eliminating eggs from one’s diet. 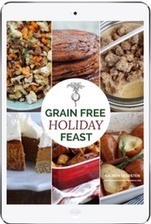 Main dishes aren’t so difficult – veggies, fruits, spices, herbs, and meats provide endless variety without eggs. Baked goods, on the other hand, create a conundrum. 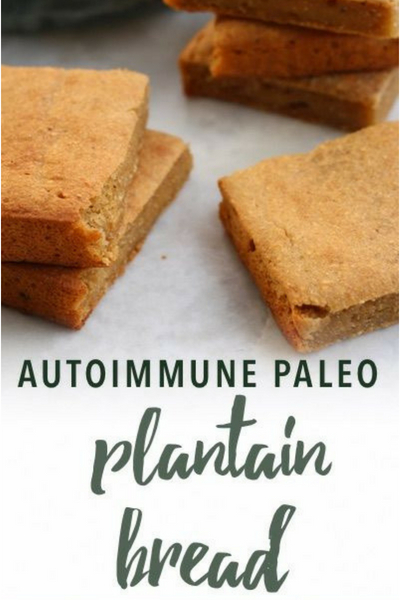 So I developed this comforting, hearty paleo plantain bread specifically without eggs. Gelatin sounds like an unusual ingredients in baked goods, but it creates the egg substitute in this plantain bread. It lacks the leavening power of real eggs, but helps hold together the ingredients and provides a pleasant chewy quality to this plantain bread. 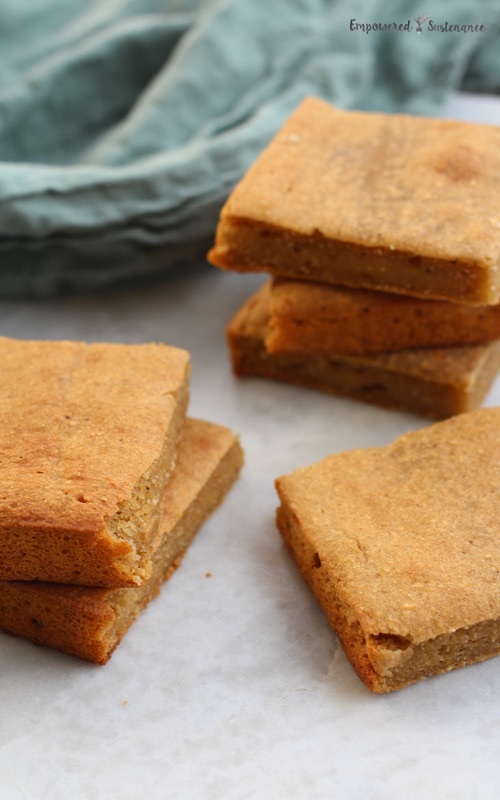 Coconut flour and arrowroot flour act as the binder for this recipe. These flours compliment each other well, as coconut flour can be too dense on its own and arrowroot alone creates a very chewy result. I’ve mentioned it before, but don’t forget to take advantage of the free bag of coconut flour from Thrive right here. A $50 purchase is required to get the free gift. Plantains offer different baking properties depending on their stage of ripeness. The sweetness and creamy texture of ripe plantains are integral to this recipe, so use plantains that are yellow with a lot of black. Green plantains will be too dry and starchy for this recipe. Baking soda and apple cider vinegar (or lemon juice) is my famous duo for leavening baked goods. It allows me to avoid using baking powder, often made with a cornstarch base, and many of you avoid or are sensitive to corn. To prepare your baking dish for this recipe, cut unbleached parchment paper so that it overhangs two sides of the dish as pictured below. 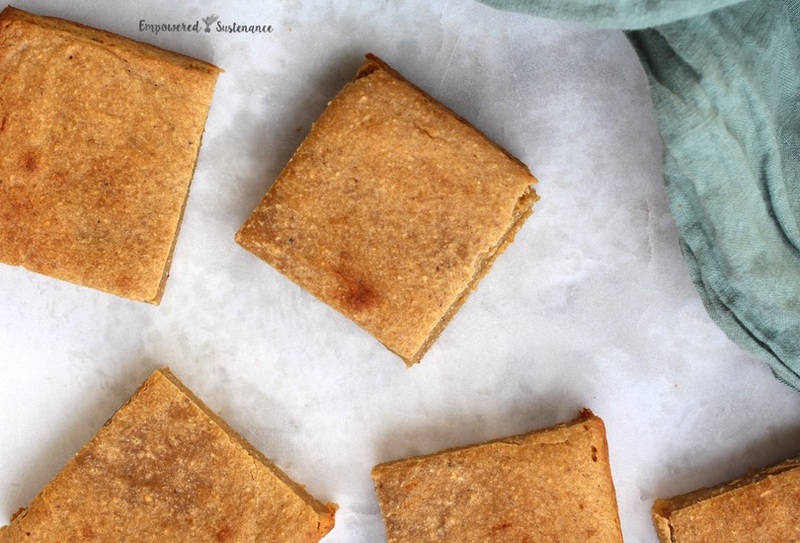 This allows easy removal, as this plantain bread likes to cling to the bottom of the pan. I also use this prep step when baking brownies or bars in a square pan. 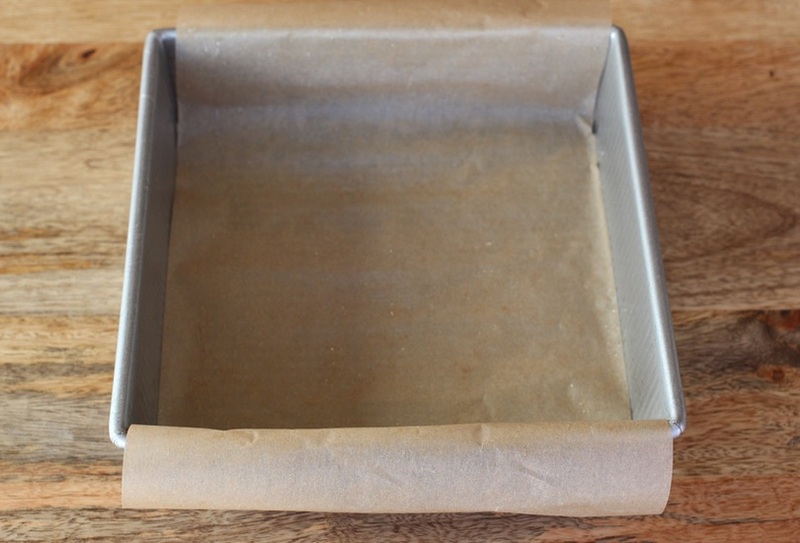 Line an 8" baking dish with unbleached parchment paper so that it overhangs two sides, as pictured. Grease the paper and pan with coconut oil and preheat the oven to 350. Have all the ingredients, except the gelatin and water, in a blender (I use and recommend a Ninja). In a small bowl, whisk together the hot water and the gelatin, until the gelatin has dissolved. This is a "gelatin egg" which will act as a binder. It must be used quickly before it sets. Blend together the gelatin egg with the other ingredients. Pour into the prepared pan and bake for about 45 minutes, until the top is golden and springs back slightly when pressed. Let cool before cutting. The bars have a moist and hearty, but not heavy, texture. It will not be as fluffy as a typical bread. For me, a food processor worked far better than a blender. Personally, I feel a good processor lends itself better to making batters than a blended. Otherwise, recipe turned out good the first time (blender) and great the second time (food processor).